At the end of an especially trying day, we looked up mid-conversation and saw a rainbow appearing. We drifted out alongside neighbors, drawn out of our daily life by the absurd beauty of it all. 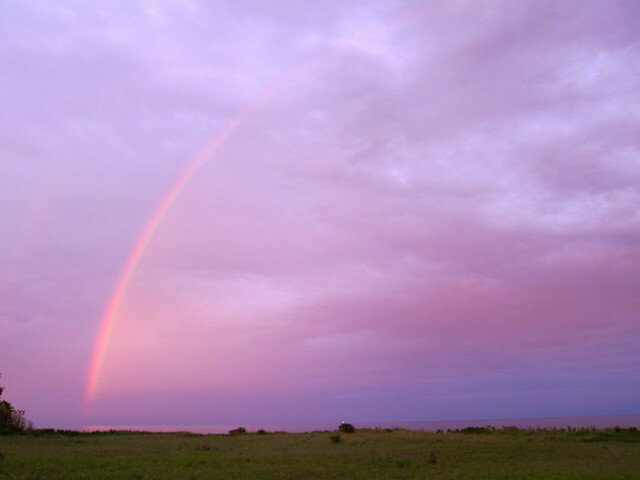 As daylight shifted into night, we were astonished to see the rainbow’s full arc, stretching from one side of the horizon to the other. Such was the evening, we wouldn’t have been surprised to see a unicorn wandering onto the scene. These 5 links are what made me happy lately, I hope they do the same for you. Because, sometimes, even if you know how it’s done, it’s still magic. • You mean, it’s not always like that? : Waterlily House, from What ho Kew! This entry was posted in garden, interlude and tagged 5 links. Bookmark the permalink. Wow! That is one beautiful rainbow! 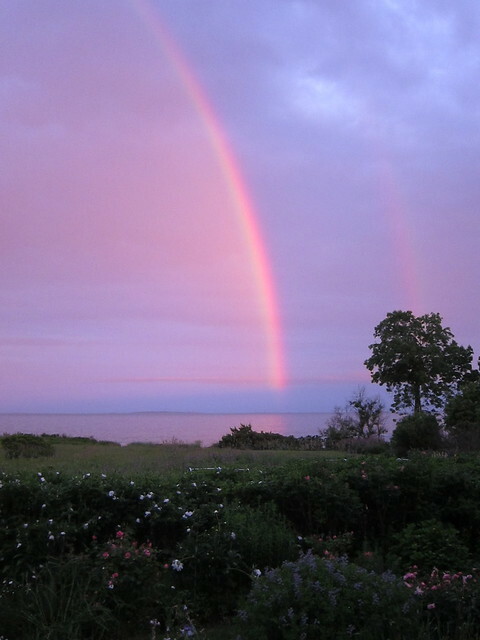 Several members of my family in the Boston area tweeted or Facebooked their rainbow, which was ( shhhh) not quite as spectacular as yours – but I’ll take any rainbow, any day. Beautiful rainbow. 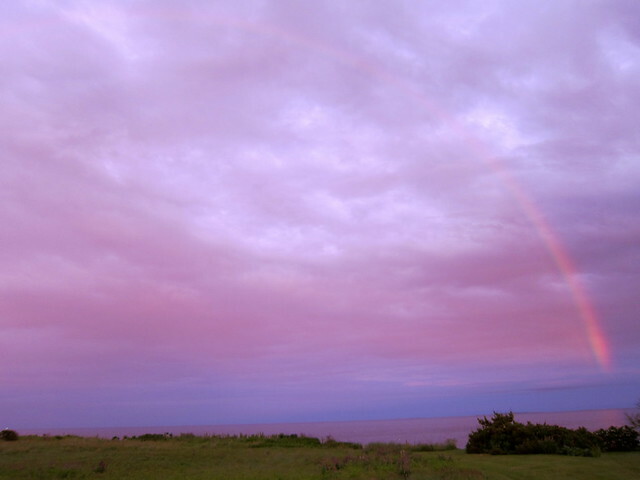 I always feel like it is a special gift to see a rainbow – like you’ve been blessed. I know, it seems like a silly thing, but they still can instill delight! I never think of you as feeling blue, Azita, but am glad this might have lifted the mood!